In honor of Adele’s sold out performances tonight & Saturday here in Austin, I wanted to share my experience seeing her in concert earlier this October. Back in June (as my birthday gift! ), my husband got us tickets to Adele’s Montreal stop of her world tour in Quebec, Canada. He’s got a love affair with that city and figured it would make a perfect getaway weekend for the two of us. Well, about two weeks before our trip, an important work commitment arose and after looking at all the options, we decided he just couldn’t make it work. But no worries, because last minute he arranged for my good girl friend Marissa to fly up & meet me for the show! Us girls had a short, whirlwind trip to Montreal…I landed the afternoon of the event and we packed a lot into those few hours we had to spare. After meeting up downtown, we beelined to the perfect gourmet bistro for a fancy French-inspired lunch, complete with foie gras and rose’! Then, she treated us to massages at the most unique spa concept: a historic river ferry turned into a luxurious floating day spa in the Montreal harbor called Bota Bota. It was a delightfully different way to unwind from our flights, take in the city skyline, and do something relaxing before the big show. We arrived to the venue a mere seconds before showtime but it was perfect timing! Our seats were pretty high up but very close to the main stage. And of course the sound, lighting, visuals, etc. were all stunning. One thing I appreciated was that her face was up on the big screen the whole time…you could see up close how she sang each note & the emotion she put into every lyric. No costume changes, just the right amount of pageantry, nothing superficial, perfectly classic timeless Adele. She performed for a full two-hours and showed us lots of personality in between sets! Adele is very very funny, y’all! We were cracking up — she was talking about how she’s trying to keep up with her work-outs on this tour but then she discovered Shake Shack during her pervious stop in NYC and those cheeseburgers did her in, haha! Wonder if she’ll make a stop to one of our two Shake Shack locations while she’s in town? All the big chart-topping hits were sung, there was a short acoustic set, a couple covers, and best of all: she told us the back stories. She writes most of her own music and she really exposed herself emotionally by going in deep: where she was living, at what point she was at in her career, where she stood in her love life, all of the nitty gritty & many times sad feelings that inspired her writing. –Ah, Queen Adele crying, cold & wet, living and writing her songs in a dank, dark English basement…say it ain’t so! A few insights: she told us that no, contrary to the tabloid reports, she is not pregnant. She apologized for going away for so long but warned that she will go away yet again…that she needs & wants to be connected to her family and to live a real life and have real feelings in order to produce art that speaks to us. My favorite song of the night was Sweetest Devotion. During the intro, Adele described how deep & different is the love for her son and talked about how motherhood changed her. She was quite the prolific songwriter afterward, always writing, writing, writing pieces about her son. Her producers cut a lot of it, but this one song stood out and it was thankfully included on her album, 25. Well after hearing all that background, the song took on a new, more intense meaning for me personally and it was quite incredible to hear it performed live…ALL THE FEELS, let me tell ya. Hearing her words & viewing them from the lens of myself as a new mother, both Marissa and I were moved to tears…it was a special moment for us mamas. I was delighted to recently receive an invitation to a special dinner just for Austin bloggers hosted by Birchbox. 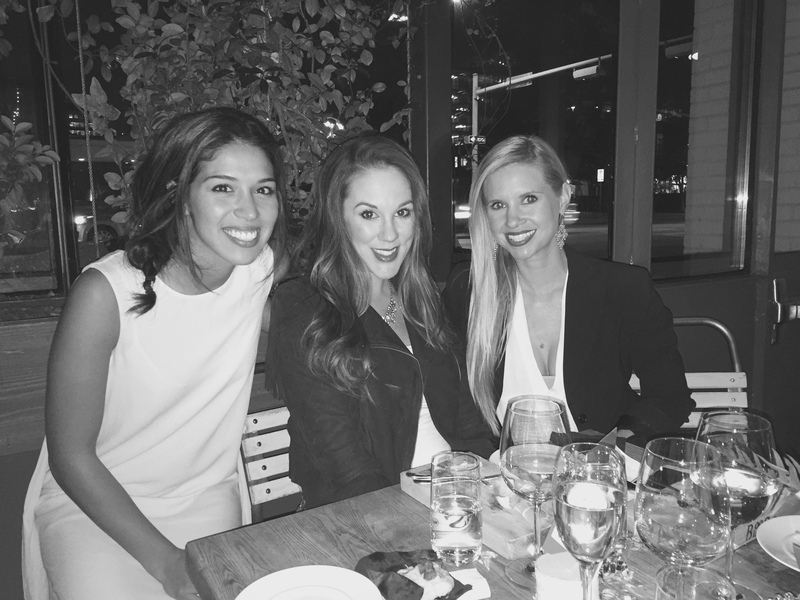 Last night, we gathered at West 6th restaurant Arro for a wonderful evening of dinner and drinks. The girls of Birchbox treated a curated list of their favorite ATX bloggers & editors –their words, not mine. 🙂 …and yes, I was beyond flattered to hear that!– to a wonderful evening of dining and networking. I’m thrilled to have met & made live connections with some of my local social media pals, especially the girls from naturallycurly.com and wardrobe stylist Cristina Facundo (& Sara, her sister and local PR maven). Additionally, I was proud to see that I was included in the company of Austin-based lifestyle blogging queen, Camille Styles. Our NYC-based hostesses pulled out all the stops: we were served a welcome cocktail (or in my case, a fun mocktail), passed apps, charcuterie board, salad, and choice of entree & dessert. I must mention that locally-owned French-casual favorite Arro never disappoints, so their choice of venue definitely solidified the fabulousity of our evening. 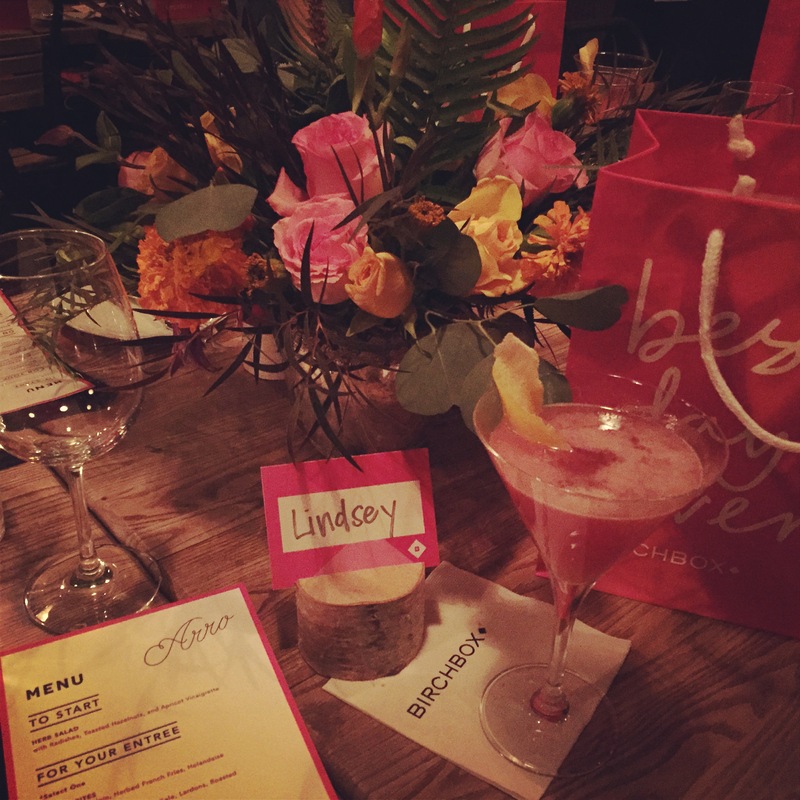 The place settings were personalized, the tablescape was adorned with cheerful floral arrangements, and obvi we were all giddy for the goody bags…filled with our own Birchbox, of course! If the same amount of detail & attention goes into each Birchbox as they put into this dinner, then I’m certainly impressed! In fact, I learned they have a huge testing culture, making sure every product that makes it into a Birchbox is tried & approved. Oh, and if you’ve never heard of the concept, it’s pretty innovative: for $10/month, you get monthly deliveries of personalized beauty, grooming, and lifestyle samples, tailored to your own profile. You get exposure to try cult brands, up-and-coming lines, and their beauty bestsellers. I could see their subscription service working really well for new moms, college girls, and transplants to a new city –it takes TIME to find the good beauty stores & trusted make-up artists, y’all! For now, I’m inspired to go through my cosmetics bag and update it for Fall/Winter 2014 with the fresh fun products found inside my new Birchbox! My husband and I have been blessed with the opportunity to travel abroad during our marriage — making time to travel is a priority we’ve set for our relationship and we’ve been lucky enough to see it though. We’ve planned vacations to some amazing international locations, but we both wanted our first trip to the iconic, artistic, romantic city of Paris, France to be reserved for something special. Well, our five-year wedding anniversary is coming up and we’re going to spend this special milestone in The City of Love! Just as I did for our trip to Hawaii earlier this year, I reached out to a girlfriend who’s visited Paris & hit her up for recommendations. 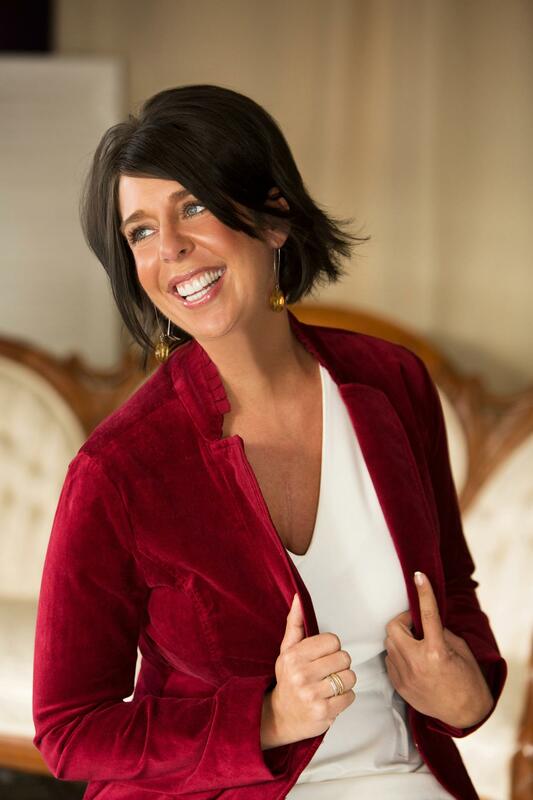 Stefani is a great friend from our time in Kansas City…we had just jumped from the far west ‘burbs on the Kansas-side and moved to the center of the action on the Country Club Plaza. She and I were introduced via our old neighbor and we all became instant buds. Many of my classic KCMO lifestyle memories involve Stefani: glasses of wine at Coal Vines, workouts at Woodside, and grillin’ out/house parties at the neighbor’s. She’s great motivation in spin class, the perfect going-out gal pal (dishing EXCELLENT convo over antipasti), quite the fashionista, and talented photographer.